This months training is conducted with Dr. Tilak Dhiman, research scientist. Dr. Dhiman has a B.S. in Animal Science, a Masters in Animal Nutrition and a Ph.D. in Animal Nutrition. He has been studying conjugated linoleic acid (CLA) for almost 20 years and has a joint patent on "Methods of increasing the CLA content of cow's milk." 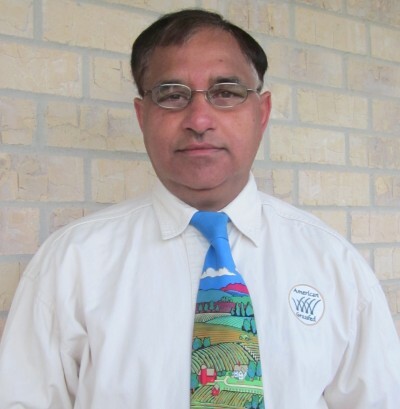 Dr. Dhiman has been a consultant to the EPA, the Agricultural Cooperative Development International, Winrock International and the American Soybean Association. He has been published many times and is one of the world's most authorities on CLA. Dr. Dhiman shares with us what he feels is the most pressing issues for the grassfed industry with a project he calls, Grassfed 2010. Be sure to write your questions down and email them in or place them in the comments section below. If you would like to get access to this training with Dr. Tilak Dhiman, you can now purchase single month access for this month only. Now, whether you are a member or not, you can enjoy individual trainings by clicking the Buy button below now. If you would like to join the Network, then click the Subscribe button now.